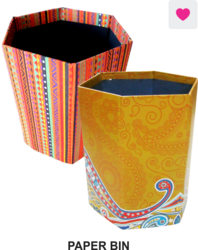 We are amid the notable name of the industry that is into providing Paper Bins Perforated. The offered bins perforated are extensively used for throwing garbage in them. These bins perforated are made-up of superior-quality material. These bins perforated are sensibly examined as per all required constraints and standards. 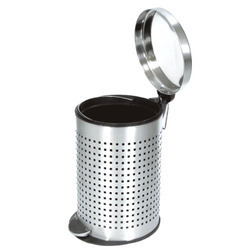 We offer high quality stainless half perforated dustbin at the most market leading prices. Perforated Round Hole Bin: 8"
So as to furnish the ever-increasing necessities of our clients, we are indulged in offering a wide spectrum of SS Perforated Bin. Making use of optimum-grade factory material altogether with sophisticated machines; these presented products are made-up with perfection beneath personnel command.